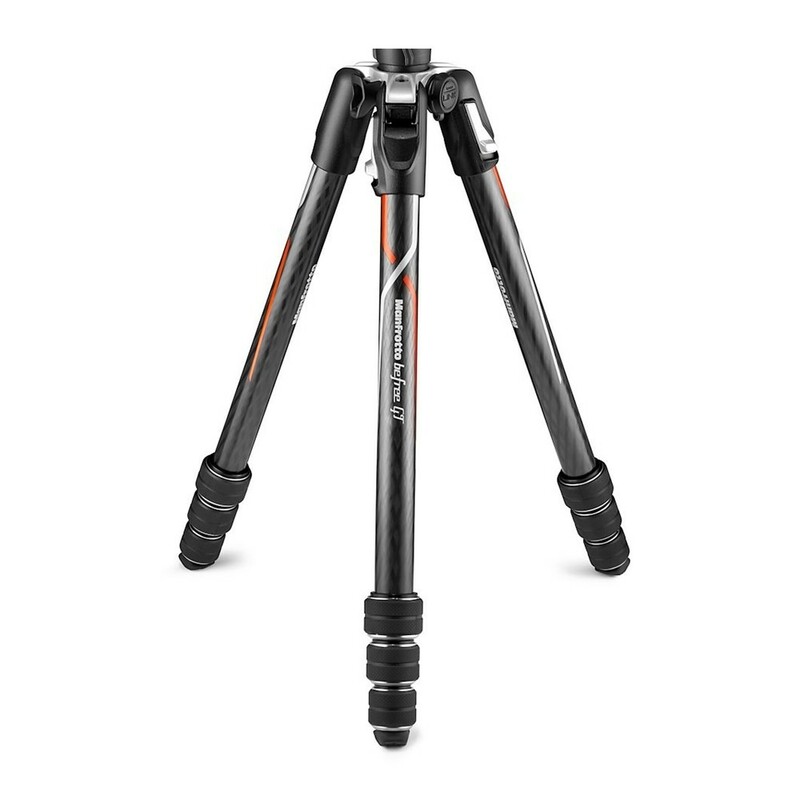 Manfrotto’s Befree GT Carbon Fibre tripod is a professional travel tripod and ball head kit. 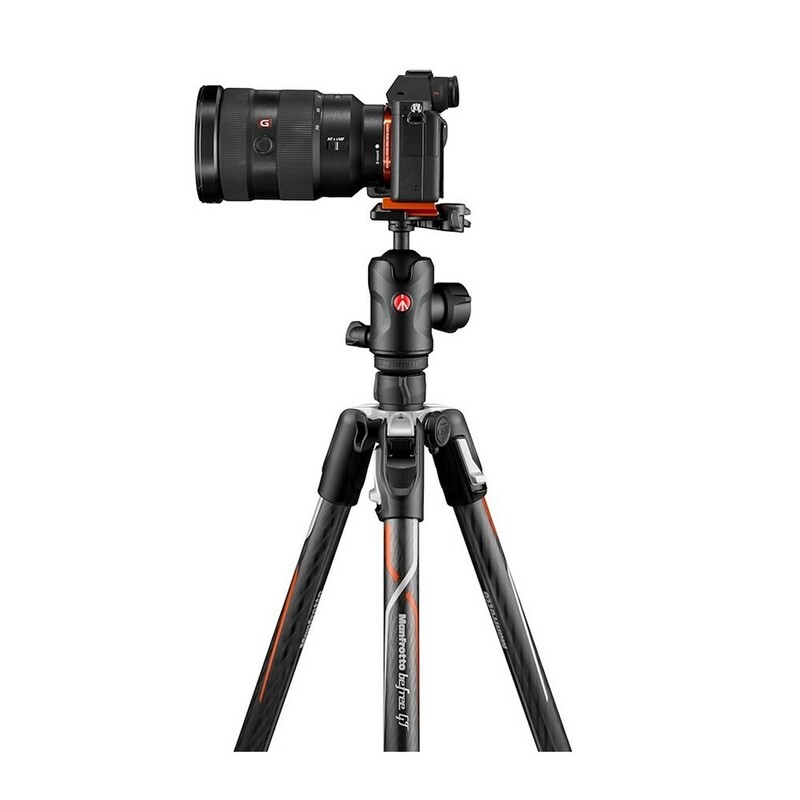 This special version of the Befree Carbon Fibre tripod is dedicated to all Sony α camera users who want maximum performance and stability in all shooting positions. The plate is designed to match Sony α7 and Sony α9 camera bodies, to ensure perfect grip, even in the most angle camera shots. The front jut of the plate physically blocks the camera, preventing any play both on tilt and rotational movements, always keeping the camera stuck to the head plate. The result is impressive camera stability, which takes image sharpness to the highest level. The plate is also fully compatible with the world’s most widespread standard head attachments: Manfrotto RC2 and Arca-swiss style. With this aluminium plate fixed to the camera, all Manfrotto head and almost all tripod heads on the market featuring Arca-style attachments can be set up rapidly and effortlessly, without disassembling components. The Befree GT carbon α is dedicated to professional photographers who need superior performance in the most lightweight format. 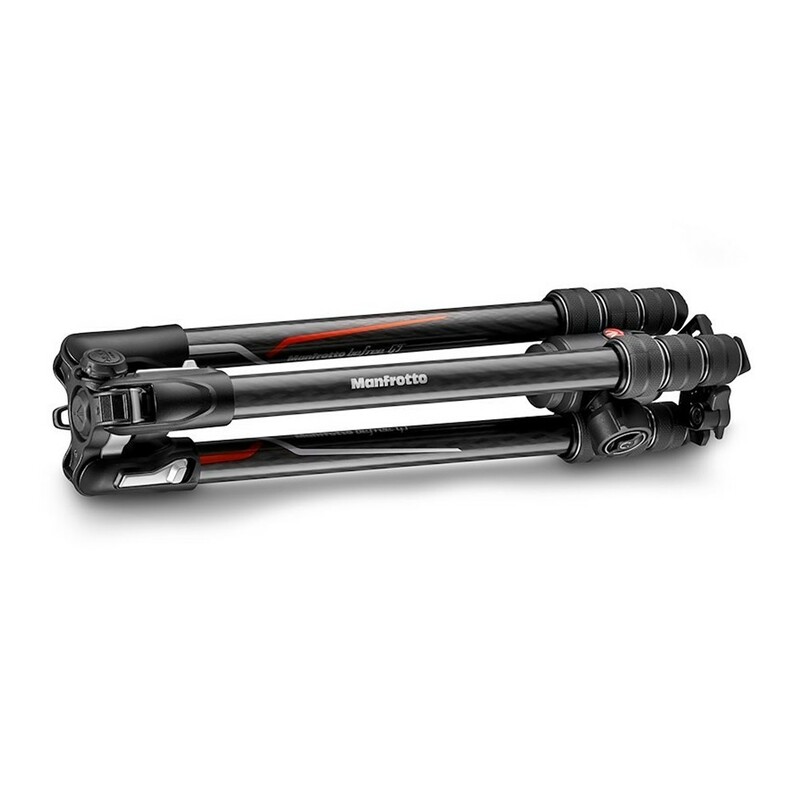 It’s the most professionally advance solution in Manfrotto’s wide range of travel tripods. It is the perfect combination of portability – only 43cm when folded – and impressive stability, ensuring flawless and effortless operation even with a 10kg equipment load. Its ergonomic design makes operating the Befree GT carbon α comfortable, fast and secure, enabling even the most demanding photographers to set their equipment up quickly and easily, so their focus stays on catching the perfect shot. The spider is developed to ensure maximum stability on all types of terrain, including the most uneven ones, always keeping the camera completely steady and ready to capture the sharpest images. The spider featured on this innovative model also has an Easy Link, just like Manfrotto’s professional 190 and 055 tripods, allowing photographers to enhance their creativity by adding accessories that make their images unique and unforgettable. If you like adding lights or reflectors you can now capture amazing outdoor shots that were previously only achievable with heavy accessorised tripods. 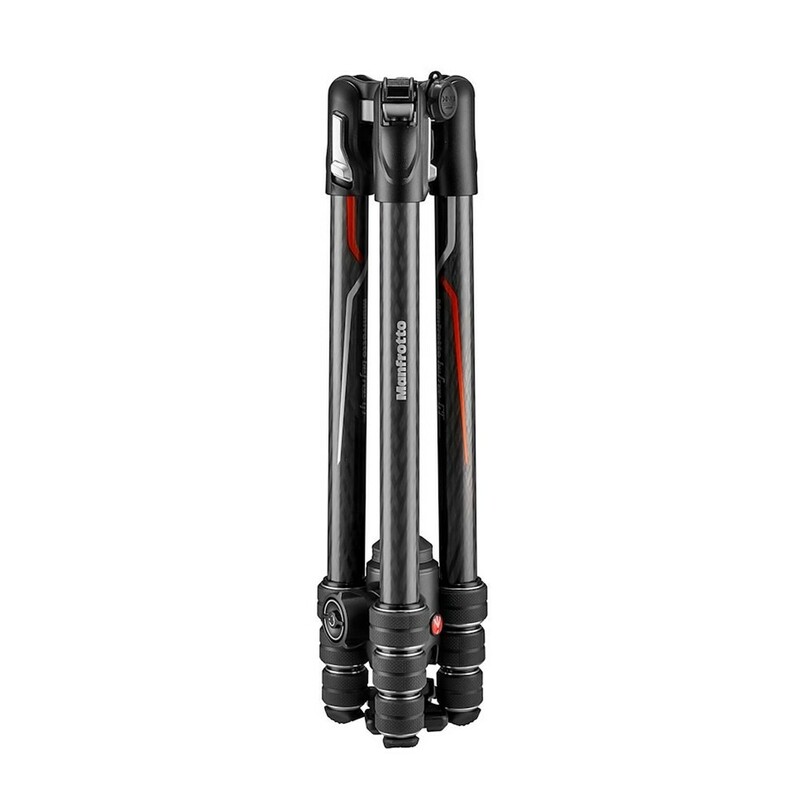 It features the M-Lock, the new twist lock developed by Manfrotto to satisfy anyone looking for a fast, easy to use and compact solution. Moreover, the M-Lock has no protruding parts and its mechanism closes perfectly around the head, enabling the Befree GT carbon α to slop in and out of its storage pocket effortlessly. Its ergonomic leg-angle selector is designed to be used smoothly by both right and left-handed photographers, enabling everyone to change shooting perspectives intuitively and to find the right tripod setting without losing focus on the shot they want. The Befree GT carbon α can easily be set to three independent leg angle positions, guaranteeing full shooting versatility for all creative ideas that can emerge outdoors. 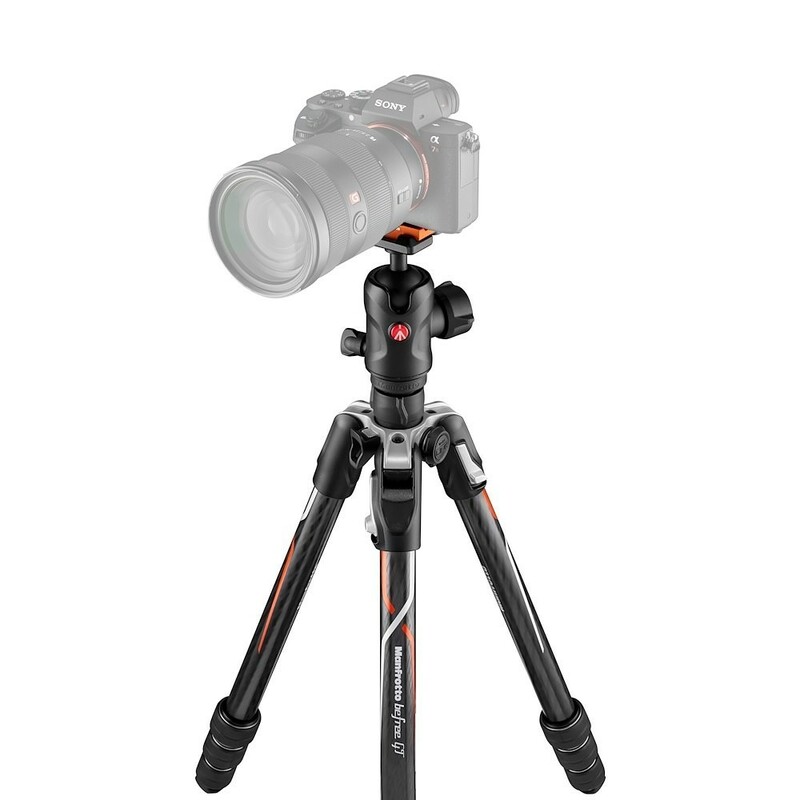 The tripod is kitted out with Manfrotto’s advanced 496 aluminium centre ball head (MH496-BH), a portable yet powerful and intuitive head that allows smooth and precise camera movement. This advanced ball head combines practicality with high performance and features three independent controls that give it the versatility to suit any environment. A main ergonomic knob manages the sphere lock an integrated friction control knob adjusts the ball tension so that equipment weight is always perfectly balanced, and shots framed effortlessly; an independent panoramic knob keeps the horizon flat and moves the camera horizontally, enabling astonishing landscape shots. Framing on the 496 is easier and opens limitless options, so that you can purse any angles you can think of. Free Extended Warranty When You Register Your Product Within 12 Months of Purchase. Click HERE For Further Details.